If I had set out to make a business of globe-making from day one it would have most likely never happened. If I had meant to start a business I would have costed it up and made a business plan and then probably torn it all up and moved on to something else! It truly started as a hobby and I thought I would just make two at most, one for my dad and one for myself, it just got out of hand and I think I was stubborn enough to keep pushing myself. The inspiration came after a lifetime of buying my father standard gifts like books and socks and ties. When I went to buy a globe and all I found was poor quality imitations, plastic school type globes or fragile and insanely expensive antiques. 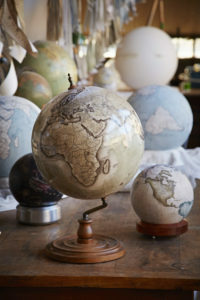 Everything I saw that was close to modern was so badly made with cheap stands and incorrect cartography, it really inspired me to work to create globes that could be up to date, personalised to suit any taste and preference, aesthetically beautiful as well as functional. 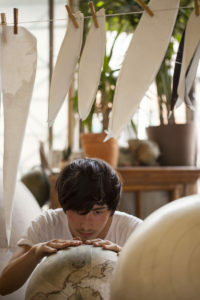 Our globes are made to be touched and spun and each one is essentially one of a kind which i think is really fun. I had sold my house and car before my father got that globe, a few years after his 80th birthday. Not enough sales in the first years, I had not made one yet in a year that I would be willing to sell. We were still a team of 4 up until about 4 years ago, writing orders on a chalk board. Now we are a team of 20 and have to be far more organised! a combination of all sizes with different makers trained to make different sizes on my team now. The larger ones we can do a lot less of, the 23cm diameter ones of course making up the bulk of the numbers as they have a quicker turnaround time comparatively. It takes between a few weeks and a few months to make a globe. That’s not every minute of every day of course and there’s drying and resting time between phases. Each globe passes through at least 5 sets of hands, so we work on multiple globes at once. Our largest globe the 127cm Churchill takes at least 6 months to make from the time we start cartography work to the time we can deliver. The team uses my technique which was developed through that first year of trial and error and improvements over the years that followed. 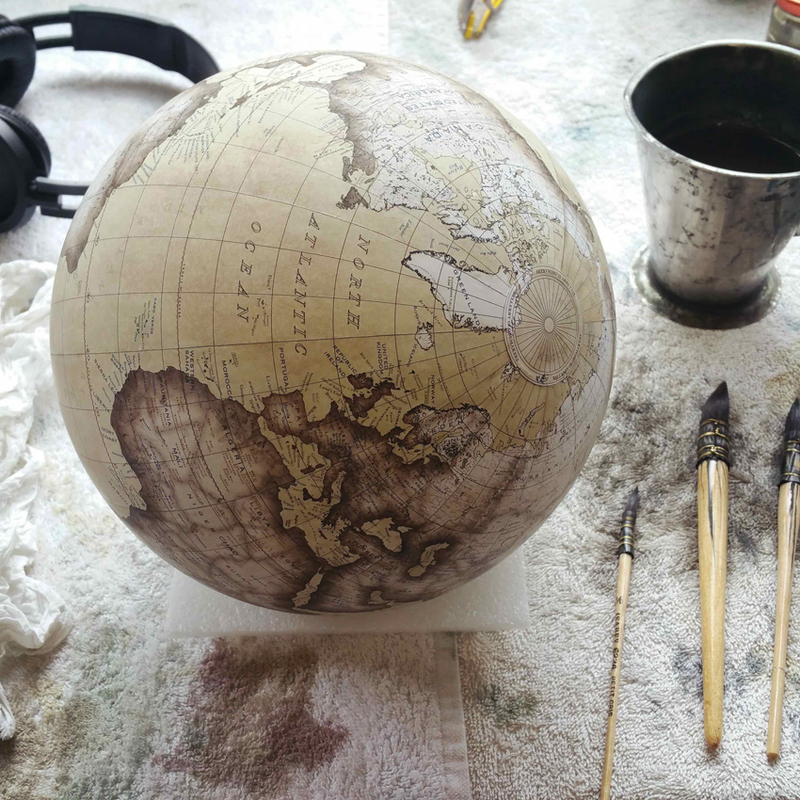 It’s the traditional way of globe-making but as there are no books or how-to guides around for the great globe-makers of the past, we can’t really compare. Firstly, you need to create a perfect sphere, using two half-moulds. 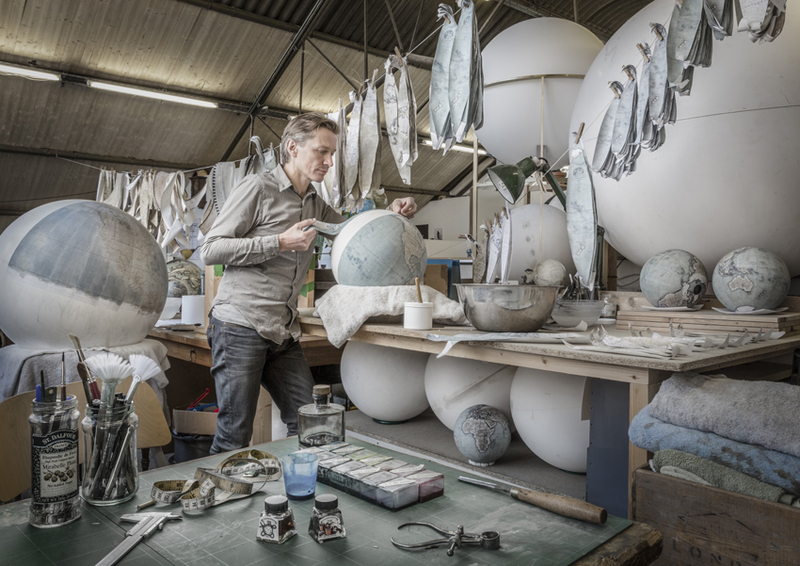 My first globes were made using plaster of Paris but for the larger globes we now use modern composites and the smaller ones are made from resin. 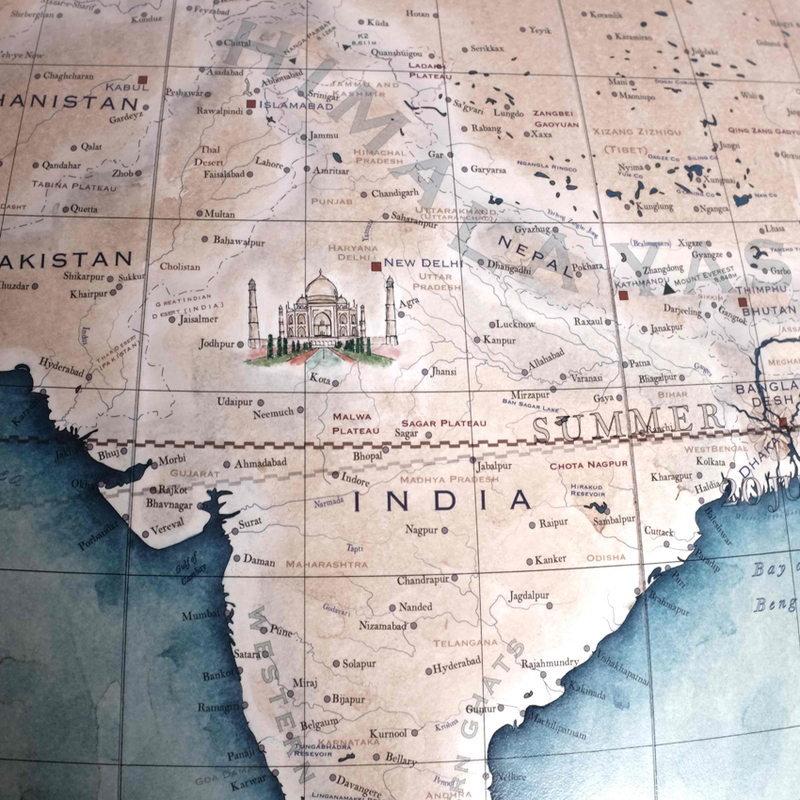 Next, we edit our map, since each globe is made to order we are updating our cartography regularly and personalise depending on our customers’ preferences. 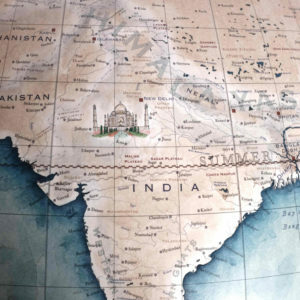 Once the map is ready, it is printed and cut up by hand into precise shapes called gores. 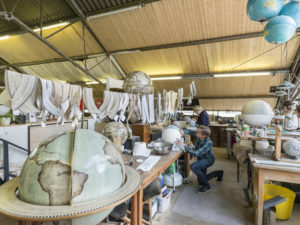 The gores are painted by hand using watercolours, which give a unique result for each globe. When the gores are dry, they are ready to be attached to the globe, which is called ‘goring the globe’. That stage is very precise work and very difficult because you’re wetting the paper and stretching it, wet paper as you can imagine is very fragile. The paper wants to rip, ripple, bubble or tear naturally. If you work with one piece too long it will naturally degrade. After the gores are applied many more layers of watercolour and details are added and the globe is sealed with either a gloss or matte finish. The globe is then placed into its base. We make a variety of traditional and modern bases of our own design. The base must be made and hand finished and placed together with the engraving. Once we are happy with the final outcome and have thoroughly checked the globe over, it is packaged carefully in either a bespoke “flight case” or a specially-made crate and shipped off to its new home. The smallest globe starts at £1,199 and the largest starts at £79,000. It takes 6 months to train to make the smallest sized globe, and even after that it’s a slow process with a lot of globes being recycled while ones of the right quality are finally being made. For every size there is then further training. We have a team of at least 20 including cartographers, an illustrator, an engraver, woodworkers, painters, and makers. We get about 100 CVs every time we advertise, however not everyone who applies would follow through with the role if it was offered. 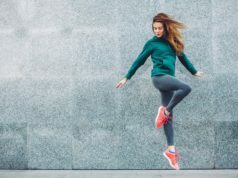 I tend to use some scare tactics to see how passionate applicants really are – make sure they look past the romance of how the role appears from afar. It is literally trying to make a globe every day for at least 6 months before they are offered a more senior position making globes at the quality we expect. They have to essentially throw their work away at the end of the day for 6 months; it takes a very passionate, stubborn and patient person. We have people from all over the world working for us but they need to be in London at the time of applying. There is no way to know a person will be good at the job or that they will enjoy the job until they try it – there is no one in the world trained to do this who applies – so they need to have a trial. We wouldn’t want someone dropping everything and moving across oceans to then realise a few days in that their hands and head are not made for the role. 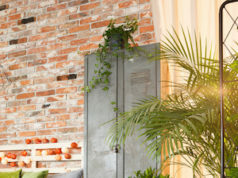 It is a huge commitment on our side and on the side of any apprentice coming in, so we want anyone we train to stay with us long-term, so again you don’t want someone to pick up everything and move for you. They should also love living and being in London so they have a nice work-life balance. An apprentice should have an artistic eye, an eye for detail, nimble fingers and patience. Our artists come from art school and design school backgrounds but everyone still has to go through a lengthy training process so someone self-taught who has always been a keen maker in their free time is just as likely to excel in the role if they are passionate about it. We work with such a wide range of people, each one unique in their own way. All ages, from all over the world, from all different walks of life. 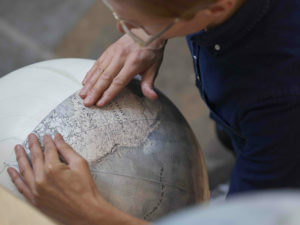 We’ve been lucky to meet some really fascinating people and being the small company that we are, we know all of our customers by name and get to learn about them in the process of helping them design their unique globes. And of course, we do not kiss and tell. We would never erase any country off the map but it has been requested sadly. 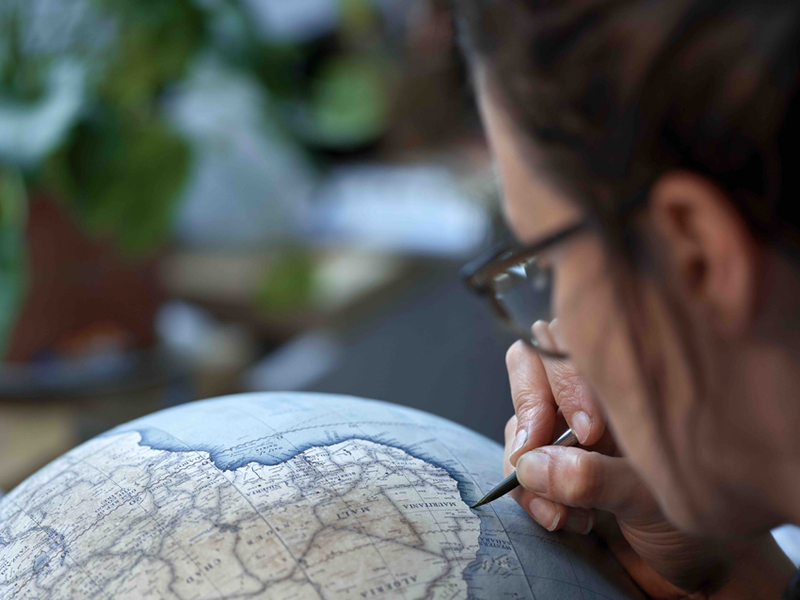 All of our globes from our studio are made bespoke to order so 99% of them are personalised to include features like hand-drawn illustrations, bespoke colours and little bits of someone’s family history on the maps. We work one on one with each customer to discuss options and help them design their globe exactly as they’d like it. Yes, We were asked to change boundaries. We ship worldwide and the world is a complicated place full of disputes. We won’t change boundaries but we do mark disputed borders. 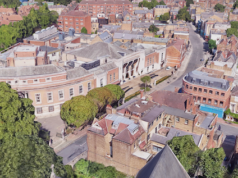 I lived in Stoke Newington for many years and at the time of starting the studio. The first globes were made in my sitting room in a house just off Church Street. When I was first looking for a studio space the area was not quite as popular as it is now, there were many empty spaces and rents were more than fair. If I was starting the business now I think I would have to be much further out of town! I worked at ITV for years, a job which led to me travelling around the world a few times but not being able to really spend a good amount of time anywhere, then I helped a friend open a music venue / bowling alley / bar / restaurant in town. The venue turned out to be very cool which was great because it was totally unplanned. I think most importantly I have had a lifetime of being hands-on and wanting to both find out how things come apart as well as always having a go at fixing things myself before calling a “professional” in. With enough patience and thought many things are achievable. I never was formally schooled in the arts and many of the greatest makers I know have simply been the type of people who are creative in their free time from a young age. Having said that my grandmother taught art and my mother paints every week.